Now, onto groups! You see the icon with three paw prints? Yes, that’s the group tab! 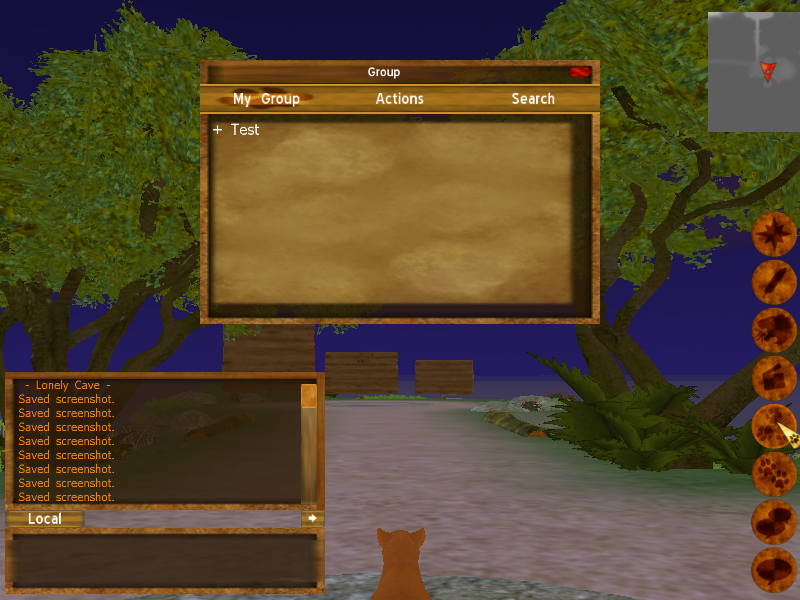 A lovely little tool to create/join groups in the game! Groups are like packs, where people can join and a leader leads. You can either join a group, or create your own for people to join. There are a few tabs when you open up the Group tab. First, the ‘My Groups’ tab. This tab tells you all the members that are within your group. 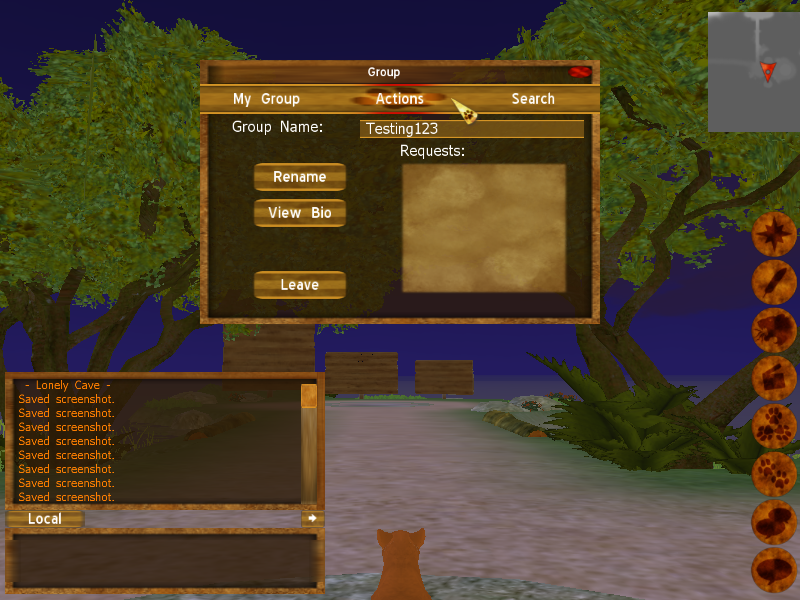 The second tab is called ‘Actions,’ where you can create a new group or rename your group, or even leave the group you are currently in. This is where all the requests to join the group go. They will show up under the Requests text in that empty box. You can either accept or deny a group request. 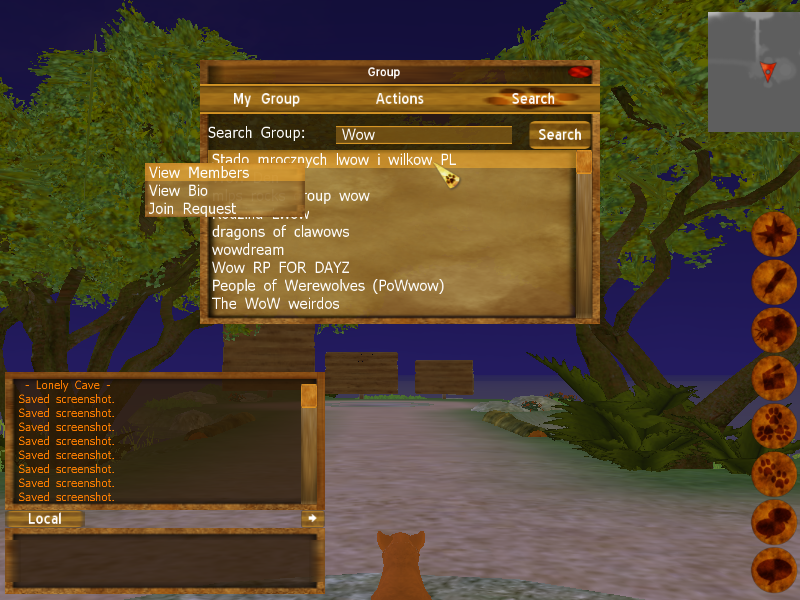 If you own a group, it will act as a requests board for you to accept or reject members from joining your group! The last tab is Search, which allows you to search up any group in the whole system by typing in the name. From there, you can view the members of the group, view the group bio, and even send a request to join the group if you aren’t in one already!